The City of Detroit will have a job fair this coming Saturday, March 3 at the Edison Branch of the Detroit Public Library (18400 Joy Rd.). This event will run from 10 a.m. until 2 p.m. The City is hiring seasonal workers to maintain our parks during the warmer months. They have two categories that they will hire for this Saturday. The first job category this is open is Laborer A/Park Maintenance Helper, which pays a starting wage of $10.04 - $10.40 per hour. Applicants must have the ability to understand and follow oral directions as well as a valid drivers license, Michigan identification card, or an identification card issued by the City of Detroit. The second job category is Vehicle Operator I, which pays a starting wage of $14.35 - $17.12 per hour. Applicants must have a valid commercial drivers license with an air brake endorsement as well as a valid medical examiner's certificate that certifies the applicant's physical fitness for driving. Apply online before the fair for the job that they wish to be considered for. Start here for vehicle operators and here for park maintenance helpers. For both jobs, click the green "apply" button in the upper right corner. RSVP ahead of time by visiting Eventbrite here and selecting "register." Come dressed for success. Interviews will happen on site. 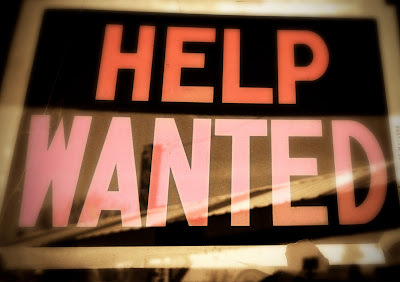 Additional job openings within the City of Detroit are posted at detroitmi.gov/employment.